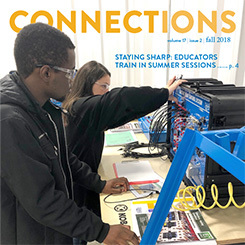 Connections is the magazine for K-12 career and technical education (CTE) in Mississippi. 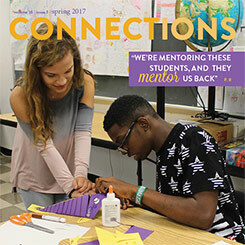 The biannual publication features students, educators, schools, and organizations from approximately 50 career pathways across 16 career clusters. This Mississippi Department of Education publication is produced by the Research and Curriculum Unit at Mississippi State University. Issues are disseminated in print and electronic forms in May and December each year. To be added to the mailing list for future issues, please send your email address to helpdesk@rcu.msstate.edu.